Stumbling with a pack of punch cards and then putting it back in the right order. That is an anecdote from one of my colleagues from the first generation of IT professionals. We still work together. That illustrates just how young our IT sector still is. This is also applicable to the profession of software testing. Almost twenty years after the first test experiences have been documented, now it is high time that we organize the testing profession differently. From a fixed recipe to building blocks. The first TMap book was published in 1995. In this book for software testers the experience of organizations which at that time led the way in IT was collected. It was written as a recipe: how do I perform, step by step, and from start to finish a test within my project? It therefore has the subtitle “Testing according to TMap”. A great help for testing organizations in the start-up phase which could benefit from the knowledge and experience of others. And therefore could avoid beginner mistakes. We are now nearly twenty years later. Starting testing organizations no longer exist. Every company or organization has a considerable number of years of experience in testing applications. That also applies to the people who work there. They are familiar with the recipe. They don’t need that anymore. Meanwhile, more than twenty thousand test professionals are working with the TMap test method in our country. I recently spoke with a very experienced manager who has testing pretty much in his genes. ‘TMap I find very valuable, but I’ve never read the whole Tmap book”, he said. “I use it to find specific things. For example if I have a particular testing issue”. The words of a seasoned colleague! Obviously a lot has changed in the past twenty years, but quality challenges remain. Agile, mobile, cloud, internet of things or other important IT trends also mean new challenges for software testers. A standard test process is no longer the solution. Every organization and even every project requires a specific process. 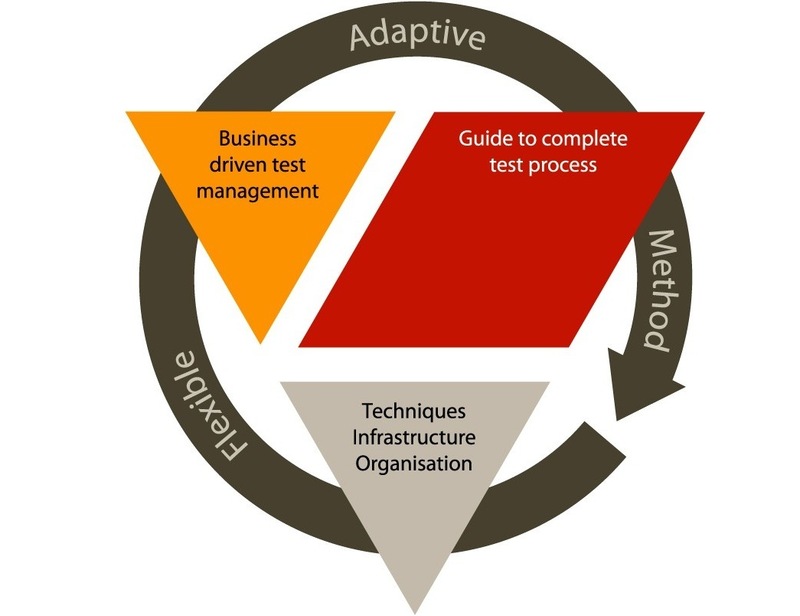 The software tester must be able to assess which available method best suits the organization or a particular project. This obviously requires relevant experience or knowledge based on similar organizations or projects. So what software testers need today is a toolbox of building blocks. Not a strict test process, but a toolbox which is made up of all kinds of building blocks which can be integrated in a test process. With different solutions, adapted to different situations, so that the IT professional can choose what fits best. Or even adjust and adapt the blocks to your own requirements. Therefore a test method like TMap shifts from testing according to TMap to testing with TMap.